Engaging with digital media has become an unavoidable necessity for all of us in the modern world, but the web is a very different place for people with visual impairments. 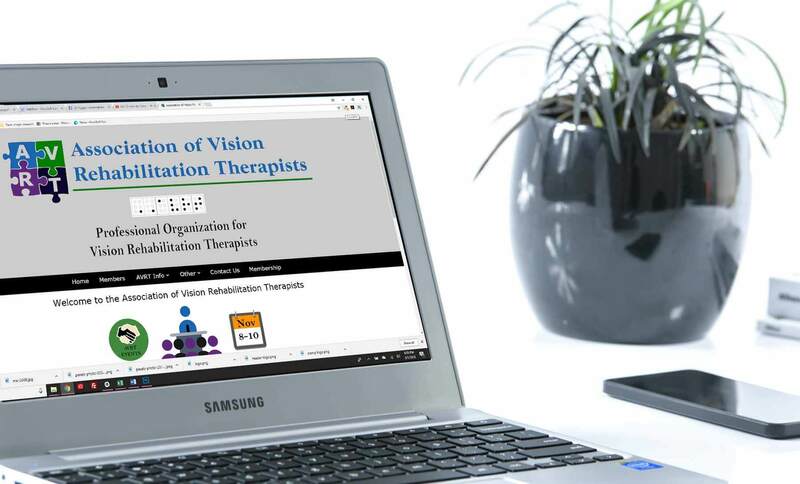 So, when we were approached by the Association of Visual Rehabilitation Therapists to build a new website for their organization and its members, we discovered that we were going to have to relearn everything we thought we knew about websites. The Association of Visual Rehabilitation Therapists has been around since the 1940's, and has members all over the nation. AVRT's users are therapists who work with the visually impaired. Many of these therapists have visual impairments of their own, so it was essential to build a website that offered every user a functional experience. There were a few things that AVRT needed from their website. First, they needed a place for their members to pay dues and handle membership issues. Second, they needed their website to be a resource for the therapists that make up their membership. Finally, they needed a website that could be easily navigated by a group of users who rely on various adaptive technologies to use the web. Visually impaired website users have a different set of priorities than web developers typically have. When you use a screen reading software to browse websites, beautiful images and snazzy animations simply do not matter as much. What matters is code that is fully accessible to your screen reader, and a site that can be easily navigated, even if a user cannot see the buttons and menus. AVRT's new website is all of those things and more, with functionality built into every page. Members can pay their dues and read the latest newsletters, see information about upcoming conferences, and learn more about AVRT's long history. And most importantly, every member has the same experience, regardless of the way they view the website.